One More Marble in the Jar: What Does Trust Have to Do With It? Each day, parents and families send schools the very best that they can. They entrust their little ones (and their big ones) to school communities they may not know, hoping that all will be well on the landscape of school. Families need to know that their efforts are valued and they need to trust that they will not be judged for what they do or don’t do. Trust grows over time, much like a marble collection. Each day, I watch as my children climb the stairs of the yellow school bus that brings them to your doorstep along with my hopes and dreams for their future. Each day, I send you the very best that I can, hoping that school will be a place where they grow, learn, and become the very best that they can be. Each day, I set aside fears, hurts, and disappointments of the past. I trust that school will be a safe space for my child. Each day, I wait in anticipation for the yellow school bus to return them home, hoping to see smiles and dreaming of tales of belonging and value. 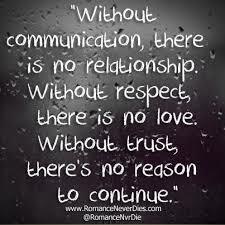 Schools cannot demand or expect the trust of families. The sad reality is that trust, for many, was shattered years ago, in their own schooling, and as a result, some families have never felt good enough for school. They send their children today in the hope that their children will feel more engaged and successful than they did. They strive to help their children feel more than good enough always with an eye on their hopes, dreams, and futures. How do you build trust with your families at the classroom level and at the school level? How do you create safe spaces for families? What impact does our use of language have on the tentative trust of some families? How can we restore the trust of families who have experienced years of educational distress? 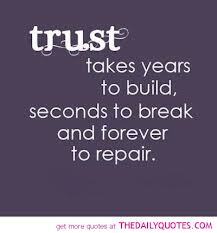 Trust, once broken, is tough to rebuild… and sometimes what caused the breach of trust is not fully understood. With time and focus, schools can work to rebuild and enhance trust gradually, ultimately creating a safe space where families feel free to set aside perceived judgment, negative memories, and work with schools to enhance the education and wellbeing of their children. Schools have a significant role to play in supporting families who often feel they have nothing to offer their children from an educational perspective, and therefore feel vulnerable at school. Just sending their children, for some, is a huge leap of faith. Trust, according to Brené Brown in Daring Greatly, isn’t a grand gesture – it’s a growing marble collection. It grows over time and requires work, attention, and full engagement on behalf of schools and families. It is action-oriented, recognizing that actions speak louder than words, even the smallest of actions. It is about supporting families as they build courage, make connections, and engage positively with their children within the landscape of school. Growing trust begins with welcoming families on the landscape of school. It’s about not judging and doing our best to ensure that families do not perceive judgement in what they are doing or how they are doing it. It is about recognizing that families send us the best they can. Share stories of success and struggle and invite families to do the same. Families need to know that they are not alone and that despite the fact that each child is different, there are similar experiences shared by many. Be willing to share some of your own stories with families, entrusting them with who you are. Recognize the uniqueness of each family and each child. Ask families about communication preferences; this little thing recognizes and respects family uniqueness. Provide multiple options for home projects; some families may not feel comfortable with a written project, but they can produce a photo essay, a song, or an oral story. Help families to grow and rebuild trust. Recognize that it’s often the little things that mean the most – a happy phone call just because, an e-mail home to highlight a positive moment, a positive response to a question, or a note in the agenda that shows you know the child as an individual. How do you build trust with your families? Susan E. Elliott-Johns on Too Much, Too Little, or Just the Right Amount of Struggle: What Do Butterflies Have to Do With Engagement? Birds, Bees, Butterflies, and Children! What Matters Most in Family-School Engagement? Too Much, Too Little, or Just the Right Amount of Struggle: What Do Butterflies Have to Do With Engagement? Family-School Engagement: How Do We Measure Up? 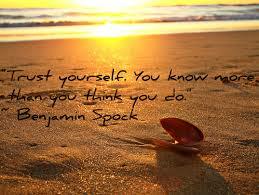 Inspiring Collective Confidence: We Know We Can! Homework or Inspired Family-School Practice? engaging families, engaging schools | Powered by Mantra & WordPress.